A home yoga practice is a bit like an egg. It's difficult to get into, but all the good stuff lies inside. I'd been practicing yoga for a long time before I even considered starting a home practice. I mean, I was loving my regular classes, what reason did I have to practice at home? Then I tried it, and failed at first (getting out of bed wasn't my forte). So I tried again, and finally managed to go a whole week practicing every morning at home. After that one week, I'd made more progress towards touching my toes, than I had in the previous 6 months of yoga classes. A personal practice is the most effective way to reach your yoga goals, and it's fundamental to deepening your practice. Getting started is the hardest part, but you can set yourself up for success by following these steps. 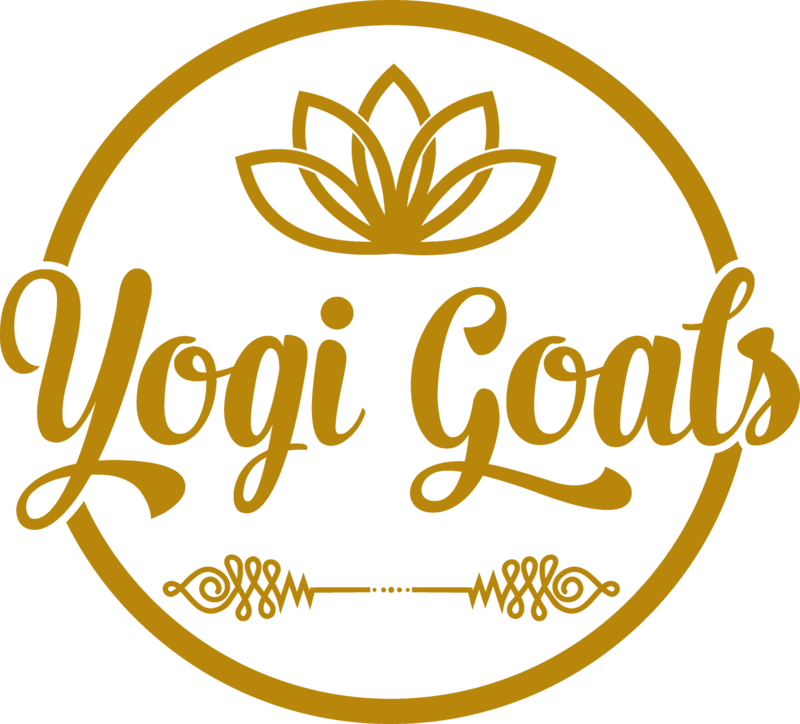 Whilst we’d all like a designated yoga room, set up and ready to go at all times (fitted with complementary zen garden and waterfall) – it’s not exactly realistic. For the rest of us, it’s a good idea to carve out a quiet space in your home to practice. Anywhere that’s has space for you to freely move around is fine. I'm still practicing in my bedroom, so I don't bother my flatmates every morning. I've tried it downstairs as they're eating breakfast, but I found it too distracting and they found it too.. weird. It's not ideal in my room, but it works for now. It's all about creating that sacred space. The purpose of a sacred space is not just to create a physical space to occupy in your practice, but to create a space that cultivates the right mindset when you're there. If you like, you can bring in any props to set the mood (candles, incense, Polynesian Tiki masks…) but they’re not necessary. They should only be there if they can increase your focus, not steal it. Speaking of props, while yoga accessories are not absolutely essential, they can be of great use in your yoga practice. So if you can set up your space with a block and a belt, plus maybe a bolster to hand, then you're in great shape. Look, I get it, committing to a practice isn't easy, but if you organise it correctly, it only takes a little bit of willpower to execute it. So, schedule a time with yourself each day, and stick with it. It’ll get a lot easier, trust me. I find it easiest to practice every morning as soon as I get up. I know I can make it every day, and it's easy to make it part of my daily ritual. One of the best things about yoga is that there is no set time or duration. So there should be no excuses for not turning up to your personal practice. Morning, evening or lunch breaks – you can practice any time that works for you. All that matters is that you do it consistently. You can do anything you like with your home practice, that's one of its biggest benefits. But if you're new to yoga, it's easy to feel a little lost when you hit the mat. To be honest, I felt that way, even after a years worth of experience in classes. So, to get started. Keep it simple. You can pick a few basic yoga poses that you like or feel good to you, so it feels more like a reward than a task. Or you could pick poses around something you'd like to work on. I make sure mine include a lot of forward bends and hamstring stretches. Having a goal to work towards always keeps me motivated to return to the mat. If you're not ready to choose your own practice, you can follow an established sequence. Sun salutations are a great choice, as they're easy to learn and perfectly balanced to evenly stretch and strengthen the body. Going it alone is absolutely fine. After all, developing your own confidence and deepening your practice is the purpose of all this. But there's nothing wrong with looking for guidance when you need it, especially in the beginning. I'd recommend finding a couple videos online that you like and that you think you can learn after a few practices. YouTube is a great place to start, and here's a good example from Yoga with Tim. It's a short and simple, hip and hamstring practice that's easy to pick up, and it addresses common pain points for men. Once you can comfortably do the sequence without guidance from the video, you can own that practice every day for a few weeks. As you grow in confidence you can modify your routine or switch it up. Just like any positive habit in life, you want to make it easy to keep. That means removing any barriers to practice, and building positive habits that might help. Make it a habit. You can practice whenever you like, but it's a whole lot easier if you can make it part of your daily routine. Have your space ready. That includes having all your yoga props to hand, a glass of water and a towel if needs be. Have your mat unrolled and ready to go at all times. So the mere sight of your mat acts as a trigger to go practice (or makes you feel guilty about not). Plan your practice. It's so much easier to motivate yourself when you know what you're doing, or at least until have the experience to command your practice on the fly. 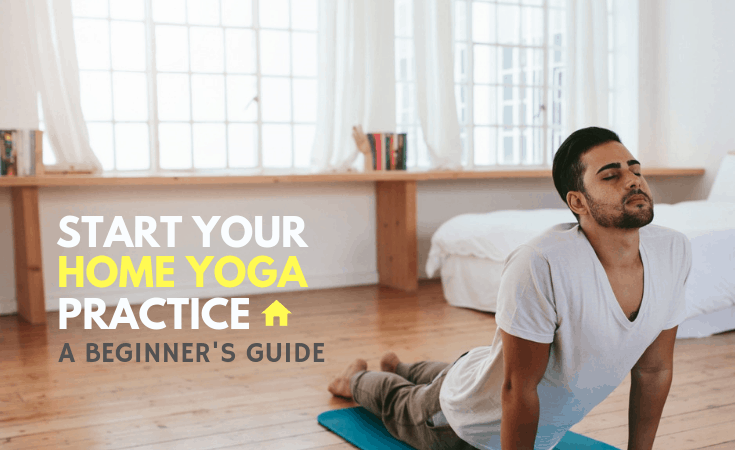 A home practice can seem like a daunting prospect at first, and it certainly has its challenges. But this is your practice, and it can take any form you want. The most important thing I'd like to impress upon you with this, is to simply start moving on your own. As K. Pattabhi Jois once said: "Practice and all is coming". Your personal practice may start as a humble set of stretches, but it can grow into something far greater. All that's required is that you keep coming back to the mat. Once you've done it for a little while, you won't want to stop.